Timbeter Container saves time on logs measurement and does the paperwork for you. We have written many times earlier on our blog how to save time on logs measuring with Timbeter Container, you simply make pictures of the containers and instantly get the number of logs, volume and exact diameter of each log and the average diameter. Users can share the information about logs shipped in the containers quickly: a user needs to take pictures of all the packages loaded into the container and the information can be easily shared via a link. But, this time we are writing about how to save paper and obtain all the needed reports out from Timbeter Container. So, here are the steps on how to have all the needed information in digital form that you can share quickly with buyers. Timbeter Container enables you to have all the needed information in the required format so the paperwork gets done easier. Before measuring, users need to set up the information regarding the bill of lading and number of containers. This can be easily done via the storage module. The information entered from the storage module (bill of lading, container) will appear in the application after its insertion. This way, the user can make sure that all the measurements are under the right container and the right bill of lading. The user simply needs to select Manage -> Bill of ladings from the upper left side and select “Add bill of lading”. Then, the name of the bill of ladings needs to be entered. The user needs to select “Manage” from the upper row and select “Add container”. Then, the user must select the Bill of Lading and add the number of the container. The user can add as many containers as required. Multiple container numbers can be added all at once by entering each container on a separate line. All the information can be easily found and filtered on the dashboard. From the dashboard filters, users have the option to save the whole data as Excel, which divides each bill of lading on a separate sheet. Each sheet will have the following information: Bill of lading name, the container count, log count of the bill of lading, the total volume, wood types that are present, public link to the bill of lading and the list of all containers separately with their respective log count and volumes, and containing timber with its respective public link. When opening a bill of lading from the dashboard, the user can see the options icon on each of the containers. 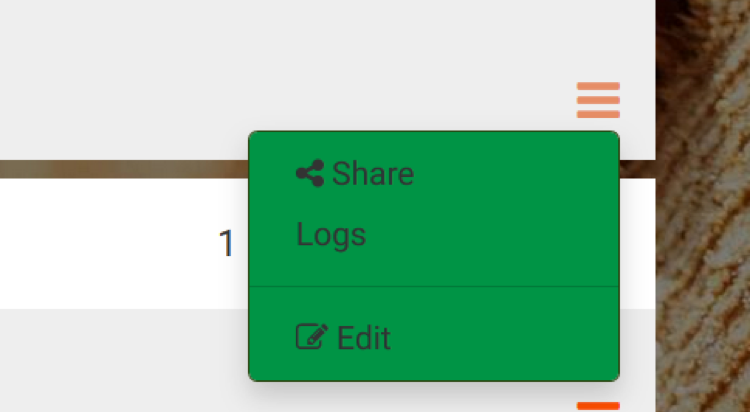 From the drop-down menu, there’s a selection called “Logs”, that will generate an Excel file of the container. 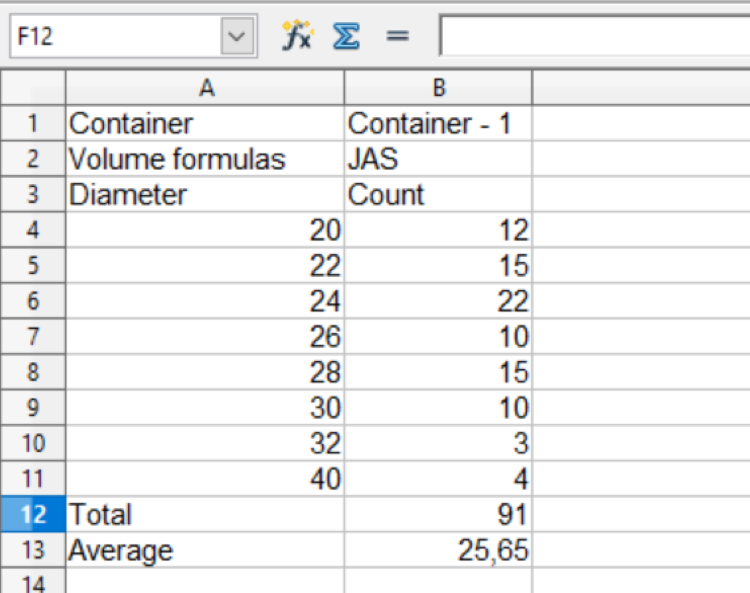 The log distribution sheet is generated according to the rounding of the formula that is used. Also, there’s a possibility that Timbeter’s team will develop your own custom report. Then you will have all the needed data in the format that you have used to. And not to forget to mention – Timbeter Container can also detect the information from the QR-codes. Simple, isn’t it? Well, now it’s time to go and try it out yourself! Download and start testing Timbeter Container.